Looking for the best Middlesex County Roof Replacement company? If your roof is older, have damaged shingles or recurring problems, it may be time to replace your roof. Your best way to know is to get it inspected by a reputable roofing company to find out if a partial or full roof replacement is needed. Replacing a roof is a major job. It is expensive and time consuming in picking out the right shingle style and color that is going to impact the curb appeal of your home. A roof is what protects your home and your family. Before making any decisions on a roof replacement, contact the best roofing contractor and have your roof inspected. Roofing materials are different year after year. There are traditional roofing material like asphalt and slate, nowadays, they have highly attractive metal roofs that give the appearance of other materials. Newer material can cost more but they last longer and give the home a better curb appeal. If you already have shingles on your roof, it may be best to move forward with new shingles. Some roofers like to layer one roof upon another. They will present the option to the homeowner which at the end will make the decision. Shingles stick better directly to the roof rather than another layer of shingles, so if you live in an area with high winds, you may want to strip off the original layer of shingles and add a fresh new one to the roof. 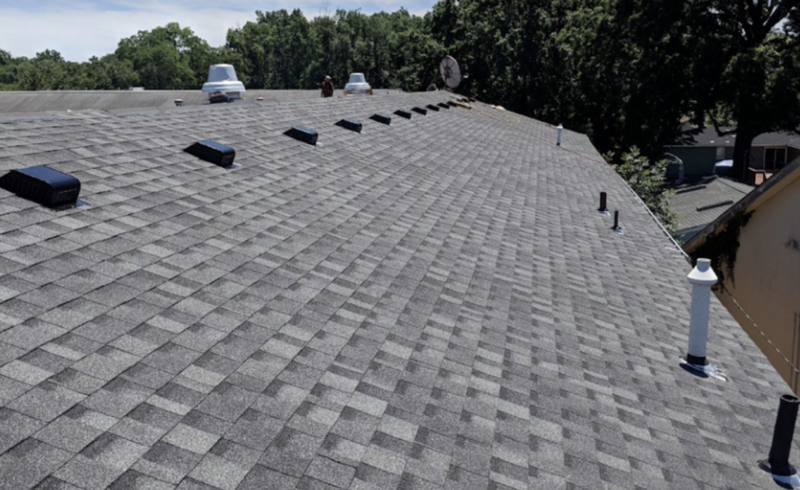 If once the roofing contractor inspects your roof and it already has two layers, they both need to be stripped off since a roof cannot handle a third layer. Before allowing the roofer on your roof you need to understand all the aspects of the process. Find out if they are stripping or layering your shingles. Reputable roof contractors should let you know exactly what they are doing. Keep in mind the shingles they are putting on the roof will take up lots of space in your driveway. Also, if your children or pets are sensitive to sound, adding and replacing a new roof can be loud. Removing the old shingles and installing the new ones will cause a lot of noise. Make sure the pets are taken outside before they start installing the roof and plan for other options in case the installation takes longer than you had expected. Make sure that you have a contract from the contractor with everything written down. A list of the type of shingles, with the appropriate color selected, and the area that will have work done. They should inform the homeowner if they will be stripping or layering the shingles. Make sure that you can build a trust in the roofing contractor since he will be working on one of the most important parts of your home. Review your contract and ask as many questions that you may have; all this should be done before the contractor gets started on your home. Replacing a roof is a big investment. Your new roof should last at least 20-30 years, so make sure you are content with the results when the job is completed. Need a new roof and searching for the best Middlesex County Roof Replacement contractor? Penyak Roofing is the place to call for all your roofing needs. With over 55 years serving homeowners and business owners with all roofing jobs, we have built a reputation with each of our customers. We were founded on a set of ideals that include quality, fairness and affordability. The quality of work we provide is top notch and we are dedicated to all our customers using only high-quality materials in all our jobs. Give Penyak Roofing a call today and get your free estimate!